Zulay Rodríguez Lu, the PRD deputy from San Miguelito and disgraced former alternate judge who once functioned as a de facto Supreme Court clerk, claims dibs on all of the files pertaining to the court’s presiding magistrate, José Ayú Prado. Photo from her Facebook page. In April of 2015, after several other cases against Ayú Prado had been dismissed, the Credentials Committee gave the remaining complaints, some of which had been provisionally consolidated, to deputy Zulay Rodríguez to analyze and report on to the committee. On July 1 there was a struggle for control of the National Assembly, with an alliance of the followers of PRD president Benicio Robinson and the Martinelli loyalists among the Cambio Democratico party falling short in a bid for power that set them against dissident members of their own parties and the legislature’s minor party and independent deputies. Rodríguez sided with Robinson and Martinelli. The platform of that failed alliance was to end investigations against Martinelli and his followers and to bring impeachment charges against President Juan Carlos Varela on some pretext or another. Rodríguez remained a member of the Credentials Committee, but part of the legislative minority both in the National Assembly as a whole and on the committee. But she also remained in possession of the committee’s only copies of the Ayú Prado files, and she sat on them. The situation has become more complicated of late with the filing of several new complaints against magistrates, including new ones against Ayú Prado. Rodríguez is claiming dibs on all Ayú Prado files but committee chair Jorge Iván Arrocha — apparently with the backing of most of the committee — maintains that there is no obligation to assign any file to Rodríguez. She would put the dispute in a different light. Several of the complaints are about how Ayú Prado allegedly abused his powers by ousting Colon juvenile court judge Domingo Ibarra Esquivel. There were accusations that Ibarra had taken payoffs to let juvenile suspects off, and had made files disappear. But he never got his day in court and some of the documents related to some of the charges are not in the file that the Credentials Committee has. Rodríguez says that she can’t proceed without those documents, but the committee finally imposed a January 30, 2016 deadline for her to report on the cases. A few days before that deadline came and went she made public statements about another matter, Ayú Prado’s order as attorney general to destroy computer files in a case about alleged hacking into the email account of then Minister of the Presidency Jimmy Papadimitriu, suggesting that she would be for proceeding against the presiding magistrate for abuse of authority on that case. There were suggestions by Rodríguez’s critics that such statements are improper publicity about a matter under investigation. Those are probably not well supported, as there will formally be no investigation unless and until the committee votes to open one. Rodríguez called on the committee to defer to the procedural judgment of Administrative Prosecutor Rigoberto González, a nonstarter because it would mean a committee of the legislative branch ceding some of its constitutional powers to an autonomous agency of the executive branch. To jaded observers of the Panamanian judicial scene, what’s it really about? It’s about a long established corrupt practice of deep-sixing court cases, and a legislator who was a key judicial operative, a de facto high court clerk at a time when such corrupt practices flourished. The dozens of files of cases frozen in similar fashion by Alejandro Moncada Luna have not yet been addressed, a year after his criminal conviction and ouster. Then there are the circumstances of the legislator’ exit from the judiciary, her removal after a decision to release some Colombian drug suspects and an ensuing controversy in which she told of her partipation in moves to oust fellow legislator Ana Matilde Gómez from the latter’s then position as attorney general. 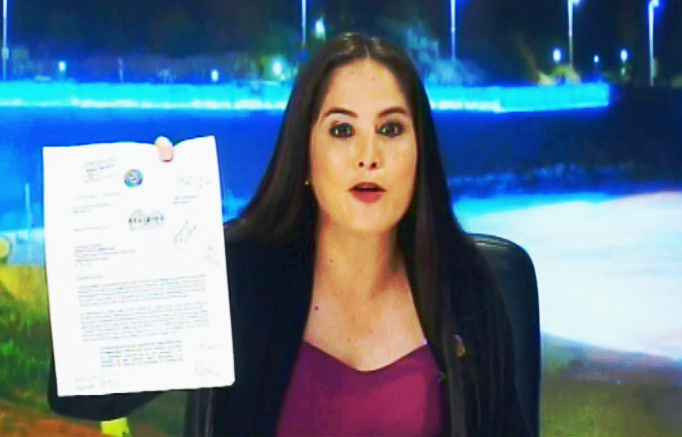 However genuine or fake the professed intentions, Rodríguez is not trusted by her colleagues in a situation where such games might be imported from the courts to the legislature. There does seem to be some sort of a showdown brewing between the committee and Rodríguez, but by all accounts this will have to wait until at least the week after Carnival.